There is an easier way to master your life; to master happiness, love, abundance, continued success and live a dynamic yet peaceful and fulfilled life. This mastery is achievable when you become conscious of who you are. When you understand the powers inherent within you, you can transform your life and make successful living permanent. The Spiritual Laws of living, as written in this easy to read ebook, can bring subtle, yet very powerful changes to your life, with results of varying degrees appearing astoundingly fast. In an uncertain world of ongoing unrest and financial crisis, of seeming lack and limitation, we have to look around us and ask ourselves; "why do so many people struggle financially and emotionally, while others seem to thrive and prosper continuously." 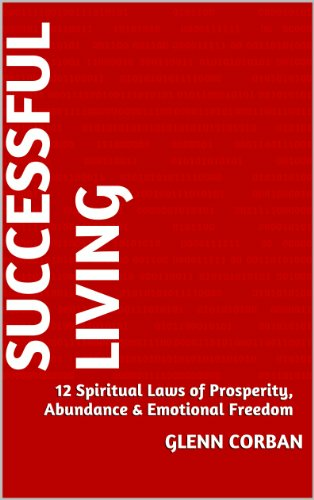 The 12 immutable laws or spiritual principles are the basis for transforming your life from lack, limitation and unhappiness to a life of permanent success, abundance and general wellbeing. Spiritual Laws are inherent natural laws within each one of us. Once you awaken to the power and simplicity of the laws, you will find them easy to live by, thus creating lasting success, abundance and emotional freedom. As you begin to daily practice the spiritual laws of success and prosperity, you have a positive effect on those around you, and radiate your "new" energy out into the world. This in turn will bring you ever increasing success and happiness, and your prosperity will be permanent when you live by these spiritual principles. Our aim is to live heaven on earth, and through my research and personal life experiences, I believe this is achieved by first understanding your oneness with the divine and with all, and then use that knowledge and awareness for self expression and creative success. The message I hope to convey in this book, is that success and happiness should be constant throughout your life, and is achievable through God Consciousness. When you acknowledge your oneness with the infinite power you can achieve miracles. This book will show you how to master your mind through thought consciousness and acknowledging your inherent power within. This is the easiest path to successful living, and brings you emotional freedom, prosperity and abundance.